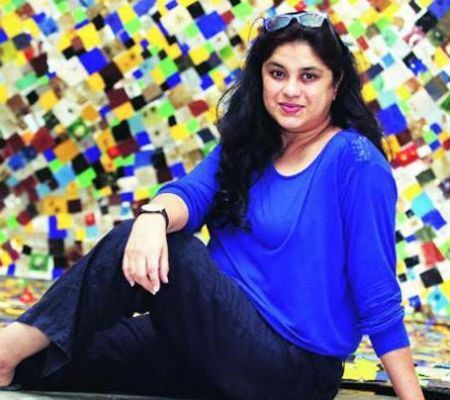 The Mumbai Police has filed a chargesheet arraigning artist Chintan Upadhyay as the main accused in the killing of his estranged wife and installation artist Hema Upadhyay and her lawyer Haresh Bhambhani. The 2,000-page chargesheet was filed in Borivili metropolitan magistrate court against Chintan and four others -- Vidyadhar Rajbhar, Pradeep Rajbhar, Shivkumar Rajbhar and Vijay Rajbhar -- on Friday. While Chintan, Pradeep and Shivkumar are in custody, Vidyadhar is still absconding. "We have completed our investigation and filed the chargesheet before the Borivili metropolitan magistrate court. Once the case is committed to sessions court the charges will be framed and trial will start," a senior police officer said. He added that police will recommend appointment of Ujjwal Nikam as special public prosecutor in the case. The police has listed 30 witnesses in the case including absconding accused Vidyadhar’s mother who has allegedly named Chintan in her statement. According to the police, Vidyadhar’s mother has said that her son had earlier told her that Chintan had given him money to murder Hema. Apart from Vidyadhar's mother, police has also incorporated Hema’s servant Lalit Mandal in the list of witnesses. Mandal in his statement given to the Kandivali police said that he was ‘surprised’ to receive a call from Chintan after Hema went missing, as he rarely called him to enquire about her. Mandal stated that Chintan, who was living in Delhi, usually did not call him up to ask about Hema as their relationship was strained. Chintan left Mumbai on the night of December 8, and after Hema went missing on December 11, Mandal claimed to have received a call from Chintan asking him whether he was at home and whether Hema was present there, as if to check whether his plan had worked or not, said an official. It was then that Mandal told him about her disappearance. The police also has crucial technical evidence like CCTV footage in which the two victims can be seen leaving their car and walking towards Vidyadhar’s workshop. The chargesheet also comprises call detail records of Chintan and the rest of the accused, including Vidyadhar and the messages exchanged among them, along with statements of some witnesses. In the chargesheet, the police has claimed that even the murder of Bhambhani was pre-meditated as he represented Hema in all her cases and Chintan wanted to finish them both. Chintan -- accused of conspiring to kill Hema, 43, and her lawyer Bhambhani, 65 -- was arrested on December 22. According to police, bodies of both the victims, wrapped in plastic and packed in separate cardboard boxes were found dumped in a drain in suburban Kandivali on December 12 last year.